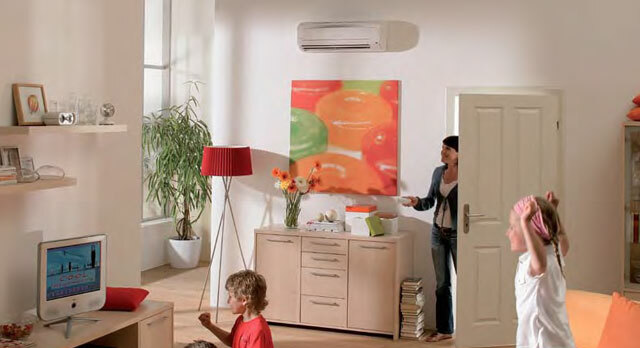 Ductless heating: The smart choice for efficiency and low-cost installation. Ductless heating(also known as ductless heat pumps) is an increasingly popular heating and cooling system for Canadian homeowners. 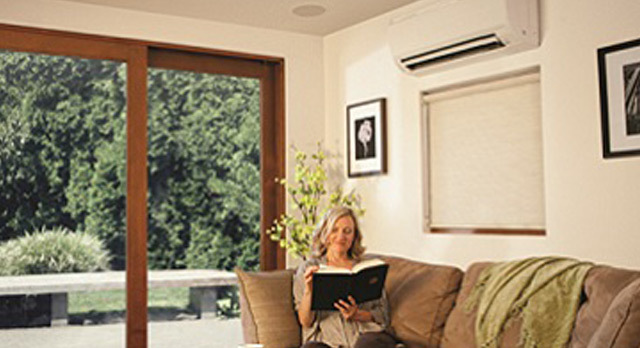 Ductless systems perform better in distributing warm or cool air to a home, making living areas more comfortable. A single indoor unit can heat and cool a large living space, making these systems especially well suited to homes with open floor plans. The outdoor unit connects to the indoor-unit by a small bundle of cables, including a refrigerant line. The unit is placed outside of your home on ground level. The cables require only a 3-inch hole in the wall for installation, without expensive or invasive ductwork. The indoor unit is mounted on a centrally-located wall within your home. Working with your existing heating system, just one ductless system is usually enough to heat and cool the average sized home. Keeping your existing heating system in place ensures bedrooms and bathrooms remain at desired temperatures while the centrally located ductless system provides heating and cooling to your home’s main living areas. A remote control is included so that you can adjust your settings for maximum efficiency and comfort. Canadian ductless heating units are designed specifically for our climate and are shipped with low ambient cooling options pre-installed and ready to use right out of the box. 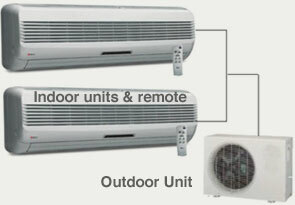 Contact us today to find out if a ductless heating system is the right solution for your home.